Author: Polly, Matthew Set In . . . Growing up a ninety-eight-pound weakling tormented by bullies in the schoolyards of Kansas, Matthew Polly dreamed of one day journeying to the Shaolin Temple in China to become the toughest fighter in the world, like Caine in his favorite 1970s TV series Kung Fu. American Shaolin is the story of the two years Matthew spent in China living, studying, and performing with the Shaolin monks. The Chinese term for tough training is chi ku (?eating bitter? ), and Matthew quickly learned to appreciate the phrase. This is both the gripping story of Matthew?s journey and an intimate portrait of the real lives of the Shaolin monks, who struggle to overcome rampant corruption and the restrictions of an authoritarian government. 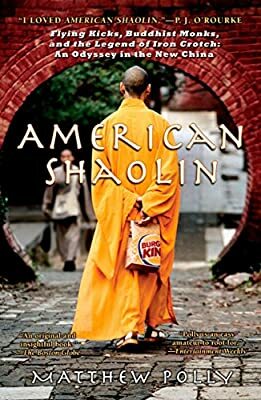 Laced with humor and illuminated by cultural insight, American Shaolin is an unforgettable coming-of- age story of one man?s journey into the ancient art of kungfu?and a poignant portrait of a rapidly changing China.